The Council serves as a resource on family issues to our members and the community at large. To this end, the Council shares and provides access to reports related to a wide range of family topics. ALICE stands for Asset Limited, Income Constrained, Employed. 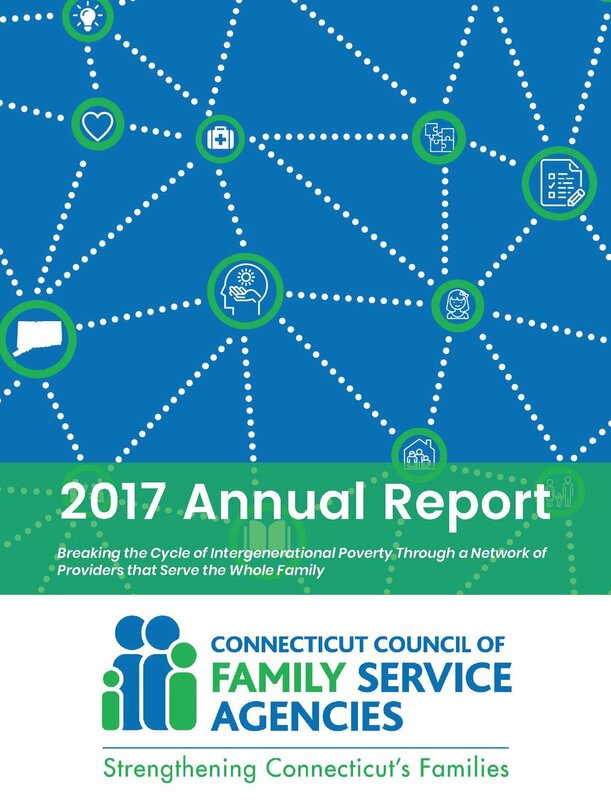 The report shines a light on financial hardship in Connecticut. The Annie E. Casey Foundation explores the intersection of children, opportunity, race and immigration in this report. Statewide measures of housing affordability in Connecticut provided by the Partnership for Strong Community. Publication of the Open Communities Alliance describing Subsidize housing, segregation, and opportunity in CT.
A report from the CT Office of Early Childhood describing how to help parents work and children thrive. “When I met Amanda she was 7 months pregnant and had just returned from Arizona, where she was chasing her baby’s father. She was homeless with a 5 year old son, who had been staying with his grandmother in Ledyard, CT, and a daughter on the way. I assisted with securing her a room at the Covenant Family Shelter in New London and helped her to re-engage with JFES to come out of the sanction status. I also assisted her with a referral to Little Learners/ Head Start for her 5 year old and involved the CCFSA Clinician for assessment. The client was able to become engaged in prenatal care and gave birth just before Christmas to a healthy baby girl, who she named Jaliyah. At the time of birth, the client was able to reconnect with her mother and brothers who were both living locally to increase her natural support system. I assisted her in completing an application for the Thames River Family Supportive Housing Program in Norwich and the client was accepted. I still visit her when I see others clients at that program. Amanda has been offered subsidized housing in the Willimantic area and will be moving there shortly after the New Year. She continues to engage with JFES and is working part time at Dunkin Donuts. “This past summer I initiated a Safety Net case with a homeless single Hispanic female. She was 23 with three children, ages three, six and nine. She arrived here from Puerto Rico and stated she needed to escape the violence to provide a better life for her children. She was currently staying with a brother, but did not feel welcome in the apartment that he shared with his girlfriend. She needed a job, daycare, a phone and an apartment of her own. This PSM gave her referrals for apartments, daycare and employment. The client was extremely motivated and had lots of energy. There was no health or mental health problems at the time of the case opening assessment. The client found an apartment and needed security and the first month’s rent. EPS was able to assist her with these financial responsibilities. Once she moved in and had an address of her own, she filled out an application for a government phone that she soon received. Her name was on a list to get into an organization that employs women who have been out of the workforce for a long time and focuses on hiring women who are Hispanic and need resources due to barriers. The client was able to get her youngest child into daycare immediately and was set up on sliding scale until she became employed which allowed her to pay zero at the time. She called the employment organization daily and PSM called to advocate as well. Shortly after moving into her new apartment, the client became very ill and went to the ER where she was admitted with severe pain to the abdomen. Her appendix was removed and she was released a week later. Her children remained with the brother during that time. The next week she began painting the apartment with paint supplied by the landlord and received a call to begin working at the temp/part-time job at the employment organization that helps women get back into the workforce. She continues to work there, but knows her time is running out with the job. She has been applying to several job sites, gone on many job interviews and may have a second job soon!